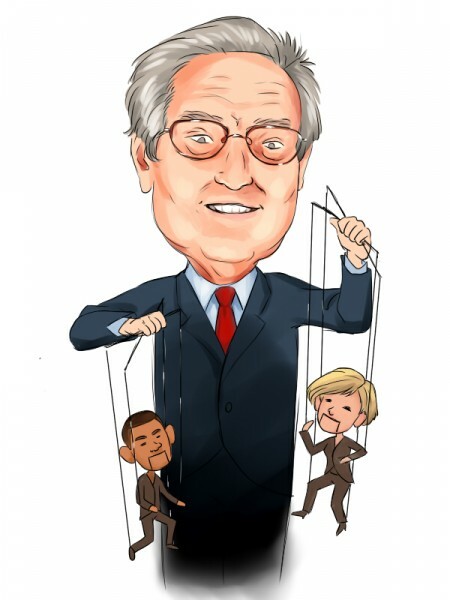 George Soros Sold 93K Shares of Apple- What Should You Do? George Soros reduced his Apple (AAPL) holdings by 93K shares at the end of March. He bought 210 K call options, which were offset by a 280 K position in Apple put options. Soros is getting bearish about Apple. Stephen Mandel – Lone Pine Capital: Mandel had 1.7 Million shares of Apple at the end of December. He sold about 9% of these, as Apple went up during the first quarter. He had $542 Million in Apple at the end of March, vs. $553 Million at the end of December. Phill Gross and Robert Atchison – Adage Capital: Reduced number of shares by 5%. Adage had $503 Million in Apple at the end of March. Chase Coleman – Tiger Global Management: Increased Apple holdings by 25%. Coleman had $493 Million in Apple at the end of March. Lee Ainslee – Maverick Capital: Increased Apple holdings by 3%. Maverick had $416 Million in Apple at the end of March. John Griffin – Blue Ridge Capital: Reduced Apple holdings by 13%. Griffin had $340 Million in Apple most recently, vs. $364 Million at the end of December. David Einhorn – Greenlight Capital: Unchanged. Einhorn had $292 Million in Apple at the end of March. Eric Mindich – Eton Park Capital: Increased Apple call options by 67%. Mindich had $174 Million in Apple calls at the end of March. Barry Rosenstein – JANA Partners: Reduced Apple holdings by 19%. Rosenstein had $83 Million in Apple at the end of March. Dan Loeb – Third Point: Increased Apple holdings by 25%. Loeb had $70 Million in Apple most recently. David Tepper – Appaloosa: David Tepper initiated a brand new $70 Million position in Apple. Alan Fournier – Pennant Capital: Increased Apple holdings by 51%. Fournier had $64 Million in Apple at the end of March. Julian Robertson – Tiger Management: Reduced Apple holdings by 34%. Robertson had $28 Million in Apple at the end of March. Leon Cooperman – Omega Advisors: Increased holdings by 88%. Cooperman had $28 Million in Apple most recently. David Gerstenhaber – Argonaut Capital: Reduced holdings by 67%. Gerstenhaber had $3 Million in Apple at the end of March. Ray Dalio – Bridgewater Associates: Reduced holdings by 48%. Dalio had peanuts in Apple. Andreas Halvorsen – Viking Global: Sold out. Halverson had 260 thousand shares of Apple at the end of December. He seems to be the most bearish hedge fund manager in this group. Overall these hedge funds had 9.5 Million Apple shares (excluding Soros’ put options) at the end of March. They had 9.3 Million shares at the end of December.